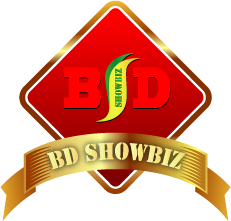 BD Showbiz provide all types of stage design, concept and platform for any type of local and international event in allover the Bangladesh. Our expert design team provides you different types of design depend on your event or organization concept, venue location, venue decoration as well as your stage budget. We serve Board, Aluminum and Glass stage for rental basis. Our board stage will be any size and shape, aluminum stage size is maximum 60x40 and glass stage size is maximum 60x40. All rent depand on total stage size, duration and event location. A corporate day with many VIPs, you must need to present something different that already haven't done your previous any events. Maybe you have not enough time or free staff to do it better. So please do not heist to contact us for a best design and decoration with your event concept. Today decorated and designed concert stage one of the most important thing for event organizer. Here you must need a professional event and stage designer to make it memorable for your audiences/staffs/clients and attraction for new clients to your organization. So, let make a chance with us to go ahead. A DJ men/women with his/her DJ player on table has now just a dull concept. Change your DJ show with some new and different ideas. Make an attractive DJ booth with modern concept and don't forgate make us a partner with your YOYO DJ Show! A good backdrop, some VIP chair, few wings, a LED display, VIP microphone for podium, a warm lighting environment for VIPs and guest, highlights few banners/logo/product/dome, something promotional, sometime need encourage to stuff or guest. These all you must need to think before a best stage/set design. Our professional designer is ready to do it better for you.